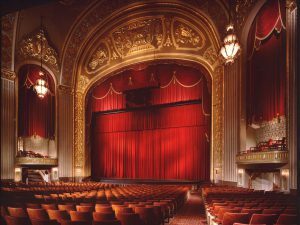 The Orpheum, a theater in Memphis, Tennessee, has decided to quit its 34-year-long tradition of playing “Gone With The Wind,” a movie portraying reconstruction after the Civil War. This year’s first screening of the movie occurred on the same night as the Charlottesville rally, August 11th. The theater was immediately hit with backlash, patrons and Facebook comments both criticizing and defending the film’s depiction of African Americans and its romanticization of the Old South. Batterson later sent out an email to the patrons of the Orpheum, stating that “it was never our intention to dictate what can and cannot be viewed by any resident of our city.” He added that with the increasing amount of threats, he was ashamed of the growing anger around the topic. Batterson brings up a very strong point. With modern technology, news spreads faster and easier, but it also becomes distorted much faster. I went into writing this article thinking I was going to write about the next step in movie censorship, only to read his official statement. I was embarrassed as I was ready to write about the importance of problematic movies, not the choice of one theater in Tennessee. The Orpheum’s Facebook page is in better spirits, but for weeks after the announcement, its status was peppered with ‘angry’ reactions and spiteful comments. It astounded me that some people weren’t even listening to what Batterson had to say. It’s like people are ignoring what the post was actually about. Twisting it into a censorship issue instead of it being one theater who decided to not play “Gone With The Wind”. Batterson has been repeatedly barraged, so much that he had to have “guards stationed to watch (his) home and the Orpheum facilities.” While it’s a classic case of news blown out of proportion, it also raises awareness of the paranoia that white southerners face. With so many of their statues being torn down, the concept of banning a movie essential to their culture must make them feel that, more than ever, they are being villainized.